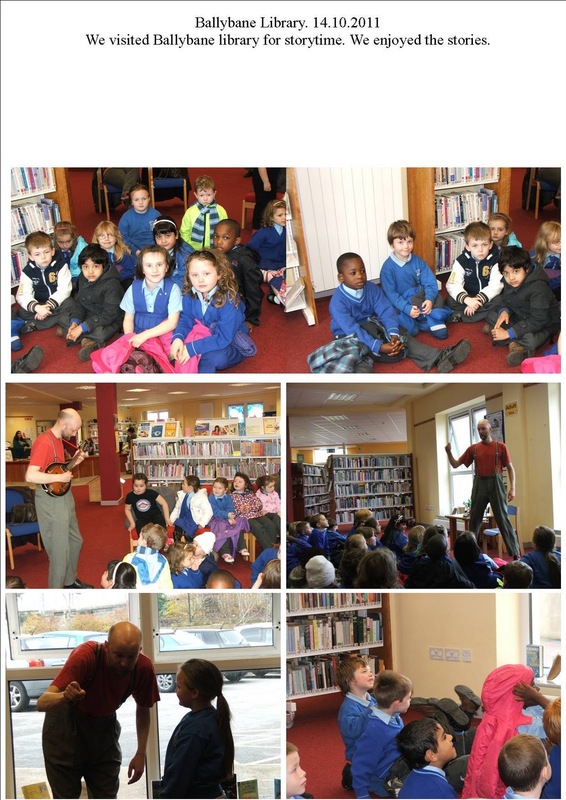 We walked to Ballybane Library last Friday. We were there for Storytime. We heard the story of The Widemouth Frog. We really enjoyed it. Jonathan played the guitar for us too. 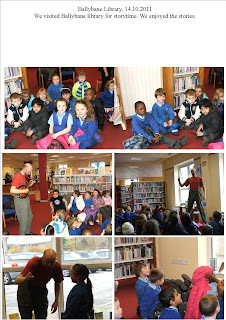 We looked at the books there. We were very tired by the time we had walked back to our classroom. We visited the bottlebank last week as part of our Science lesson. We were discussing Recycling. Teacher brought in some bottles so we all went to the bottlebank and we decided into which bank each bottle should go. Two gentlemen came with a big box of various coloured bottles. We watched to see were they putting the bottles in the right banks. We know a lot about Recycling now.